Introduction Homelessness can result in poor health. The number of families with children living in NYC homeless shelters increased 55% from 2008 to 2014. Half of children living in shelter in 2014 were younger than 6 years old. We compared demographics and health outcomes of mothers and infants residing in NYC homeless shelters to those residing in public housing in this cross-sectional study. Methods Addresses of NYC Department of Homeless Services shelters and NYC Housing Authority (NYCHA) developments were matched to NYC Department of Health birth certificate data for the years 2008–2013. Sociodemographic and health characteristics of newborns residing in shelters were compared to newborns in NYCHA housing using Chi square tests. Results Mothers residing in shelters were younger, more likely to be black and less likely to be Hispanic, more likely to have been born outside NYC and reside in the Bronx. Babies born to mothers living in shelter were more likely to have low birth weight (< 2500 g), be born preterm (< 37 gestational weeks), require assisted ventilation immediately following delivery, have a NICU admission, and use Medicaid. They were less likely to breastfeed within 5 days of delivery and be discharged to their residence. Discussion Homeless mothers and infants had poorer health outcomes compared with those living in public housing. 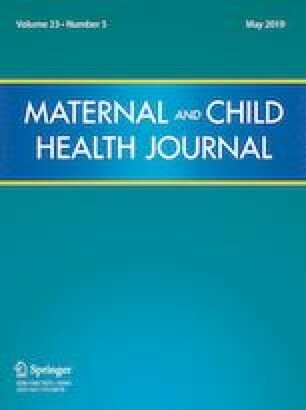 Understanding the health disparities of homeless infants can provide guidance for developing future policies and research initiatives, which may be used to inform the development of new policies to improve health outcomes of homeless infants and their mothers. The authors acknowledge Hannah Gould, Gretchen Van Wye, Charon Gwynn, and James Hadler of the NYC DOHMH for reviewing previous drafts of this article. New York City Department of Homeless Services. (2015a). Daily report—September 21, 2015. Retrieved September 22, 2015, from http://www.nyc.gov/html/dhs/downloads/pdf/dailyreport.pdf. New York City Department of Homeless Services. (2015b). DHS data dashboard—fiscal Year 2015. Retrieved August 26, 2016, from http://www1.nyc.gov/assets/dhs/downloads/pdf/dashboard/dhs_data_dashboard_charts_FY-2015.pdf. New York City Department of Investigation. (2015). Probe of Department of Homeless Services’ Shelters for Families with Children Finds Serious Deficiencies. Retrieved July 8, 2016, from http://www.nyc.gov/html/doi/downloads/pdf/2015/mar15/pr08dhs_31215.pdf. New York City Housing Authority. Facts about NYCHA. Retrieved July 8, 2016, from https://www1.nyc.gov/assets/nycha/downloads/pdf/factsheet.pdf. New York City Housing Authority. (2015). Special tabulation resident characteristics. Retrieved September 28, 2016, from https://www1.nyc.gov/assets/nycha/downloads/pdf/res_data.pdf. New York State Department of Health Office of Health Insurance Programs. (2012). Policy and guidance to transition the homeless population into medicaid managed care. Retrieved October 17, 2016, from http://www.health.ny.gov/health_care/medicaid/redesign/guidance_for_homeless_transition.htm.